How Much Will It Cost to Remodel My Kitchen or Bathroom? The cost of remodeling often causes anxiety and trepidation. Premier Kitchen and Bath will always be upfront with you and will never play games by under bidding and then adding back costs through change orders. Once we have discovered the needs, wants and scope of the project and our clients have determined their budget, we will design to 90% of that budget. This allows 10% for any additional items, or when you fall in love with something that is a bit more expensive—all while not exceeding your original budget. To help you determine a realistic budget,use our Remodeling Budget Calculator (see Budget Calculator below). This calculator is based on national statistics compiled by the National Kitchen & Bath Association and separately from Premier Kitchen and Bath. Use this budget calculator to determine a realistic range for a kitchen remodel based on the value of your home. 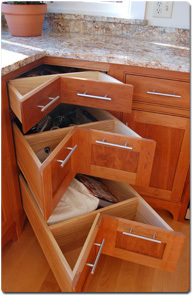 NKBA recommended numbers are provided by the National Kitchen & Bath Association. 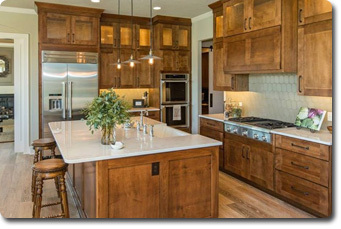 There are MANY factors to consider when remodeling your kitchen or bathroom. Should I get several bids from different remodeling companies? Is the lowest priced bid the best value for my money? If a remodeling company drastically reduces their price to “win” my project, should I be concerned? How can I check out the credentials and financial stability of remodeling companies I am considering? Clients who choose to work with Premier Kitchen and Bath can look forward an enjoyable and satisfying remodeling experience they’ll ever have—and we work VERY hard to ensure we stay within your budget! Give us a call at 281.558.3700, fill out a FREE consultation form or stop by our showroom today to learn more about how we can help you.